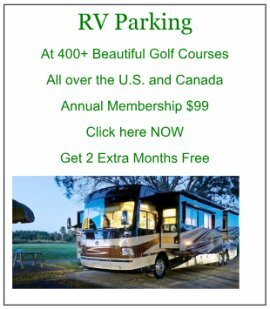 RV Expenses can really be very economical! However, they can also be astronomical - it really depends on how much you spend on your RV and how much is financed. Motorhome Loans and how you arranged your Motorhome Financing can be a major factor. Just as in a House Mortgage, the lenders will allow a purchase price/mortgage to be much higher than you can really afford on a monthly basis! Years ago, to make a major purchase of a house, you had to put 20% down - no matter what! Today, you can get away with very little down and somehow show that you can afford the monthly payments. The exact same thing will happen with a recreational vehicle as well! *Is your retirement plan secure and for how long? *If you will be working, what kind of income will you really be earning? *Will you allow boondocking, or must you always be in a RV Campground? etc. etc. 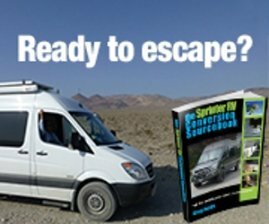 *If you are going to keep your stick and brick home and just use the RV for vacations and enjoyment on a part-time basis - where will you store your RV? Many towns are getting very serious about not allowing your RV to be parked on your own personal property! That means a $200 - $400 a month storage expense, along with your monthly nut on the RV!! All of a sudden, this becomes that very astronomical RV expense mentioned above! Aside from all the negative above, it can be still very economical to live in an RV - especially Full Time! Planing on where and how you will live is critical. Boondocking is a wonderful way to reconnect with nature, have some peace and quiet and save on monthly campground expenses. If one of you is 62 years old, obtain your "Senior Pass" from the National Park Service! It only costs a one-time fee of $10 - that gets you into National Parks for FREE and Half Price NPS Camping privileges! If you are a very "social" person, you will probably want to be in a campground instead. That's fine, but expect to pay for that privilege! The real secret to RV living is the lack of property taxes!!! Oh my!! That can be a HUGE SAVINGS!!!! An RV is considered a motor vehicle and therefore no property taxes are collected. However, be careful where you "officially reside" - some states will have a Luxury Tax that can be just as bad! The largest of RV Expenses will be your purchases of either diesel fuel or gasoline. But, that's really it! However, if you are a fulltimer and traveling the country while boondocking - it's not too bad! Usually, that same RV'er will park in a great boondocking site for a week or two, while enjoying the area. Then, start up and look for another great site. Moving and traveling every few weeks as a boondocker will save lots of fuel! The smart RV'er will also have an RV Solar system in place and try to live the Green Lifestyle as much as possible. 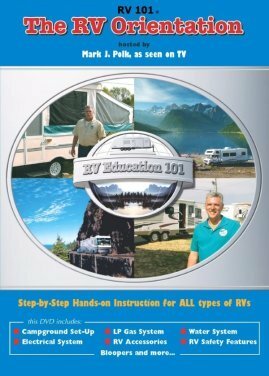 If you can provide your own RV Maintenance, that will certainly help as well. Careful on that though - if unsure, let a professional perform your maintenance instead! It's all about keeping your RV Expenses in check so you can enjoy the RV Lifestyle!